On Monday, Kyrgios, favourite for the junior boys' championship, will be elevated to world No.1 junior. 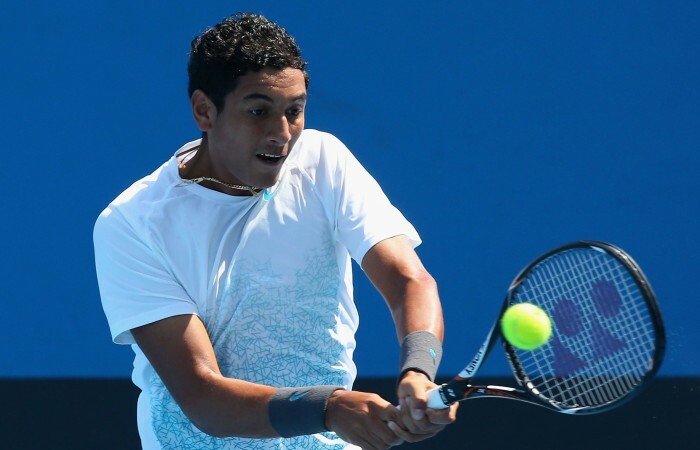 17-year-old Nick Kyrgios from the ACT has restored some local pride at the Australian Open. 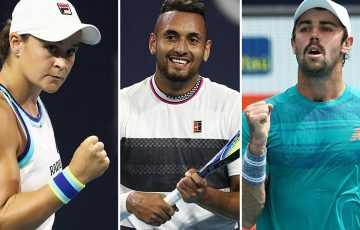 On Monday, Kyrgios, favourite for the Australian Open junior boys’ championship currently being played at Melbourne Park, will be elevated to world No.1 junior. 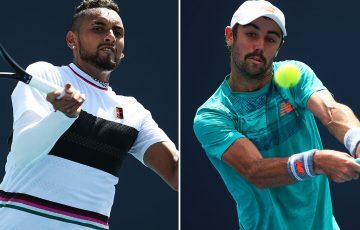 Inspired by Roger Federer and modelling his game on Jo-Wilfried Tsonga, Kyrgios backed up his success at last week’s prestigious Open lead-up event at Traralgon with an ominous first-round win in Melbourne. 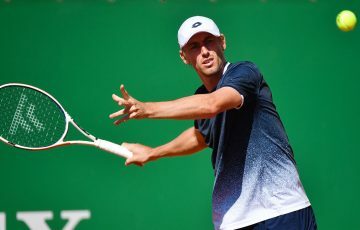 The powerhouse third seed crushed Turkey’s Cem Ilkel 6-3 6-1 to lead several Australian juniors into the second round. “Obviously there was a lot of expectation on my performance this week and I thought I started off well,” Kyrgios said. “There’s a lot of pressure but going on last week I’ve got a lot of confidence and belief in my game now, so I’m really glad my form’s there. 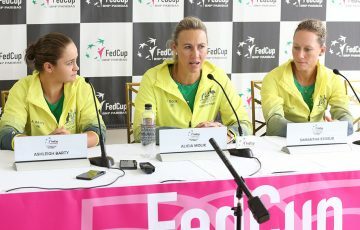 “I get the No.1 ranking tomorrow so possibly winning the whole thing would be my main goal now. Kyrgios said reaching the summit was the reward for four years of hard work and devotion to the game. “Obviously it’s a great accomplishment. There’s been some really good players that have been the No.1 junior,” he said. Kyrgios last year completed the French Open-Wimbledon junior doubles double with Victorian Andrew Harris. “That’s where my serve started to really kick on,” he said. 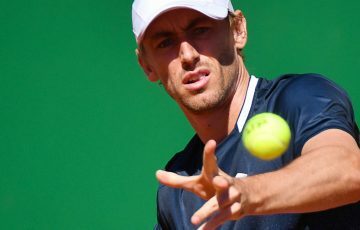 “I’ve been getting a lot of confidence from that and my transitioning into the net has gotten a lot better in singles as well, not being so afraid at hitting the ball and coming to the net. 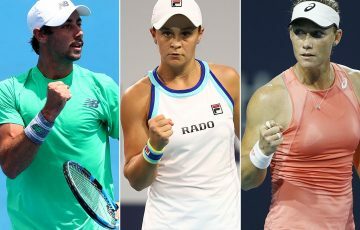 Kyrgios, who is hoping to follow in the footsteps of countryman Bernard Tomic (2009) and Luke Saville (2012) as an Open junior champion, said Federer and Tsonga were his heroes. “Federer, he’s an unbelievable role model,” Kyrgios said. “I mean, he’s got a lot of expectations on him every match and he just goes out there every match and does what he has to do. Unbelievable. 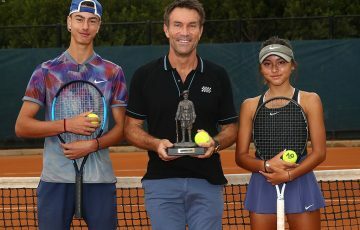 Other Australian first-round junior winners included Kyrgios’ latest doubles partner, Thanasi Kokkinakis, along with Marc Polmans, Akira Santillan, Oliver Anderson, Omar Jasika, Danielle Wagland and Olivia Tjandramulia. Sara Tomic, the 14-year-old sister of Bernard, will play her second-round match on Monday.